When I wore it the first time, I feel like it is kinda fake because the texture of the fringe is (sadly) so much smoother than my real hair, and shinier too. I was quite conscious about whether it is noticeable and if it is slipping down the entire evening. BUT, my friends said my hair/ fringe still looks the same and nice, I guess they didn't realised it is fake. It held up really well too. Need a little styling to avoid the 'old fashioned chinese' look as mentioned in some of the earlier comments. After a couple of times wearing it, it starts to look and feel more natural to me. So, recommended. okok product. 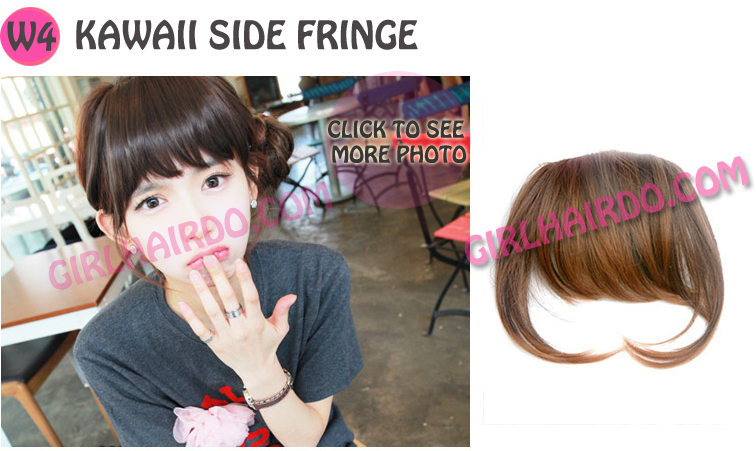 easy to use but look..
easy to use hairclip ! 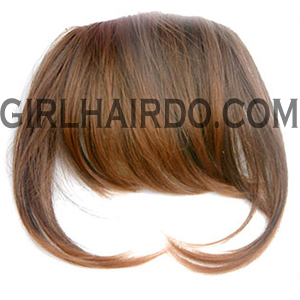 if u want bangs this will do the trick! but if u want a nice bangs i don't reccommend this cuz the style is weird, when i wear i look like chinese .. but i am a singaporean. and the style like very old fashioned style. This bang I like most because it has a little short and side fringe. it blend well with my hair. hope to get one with the back cover also. will buy other design to try. I LOVE THIS ITEM. My hair is super curly therefore if i thought that if i use the wig, it would look super fake.